← Toddlers & Tiaras: Pageants from Hell? Conspiracy theories are so interesting to me. There are literally hundreds out there. For instance a few that might sound familiar or that are most popular are the assassination of John F Kennedy, the Holy Grail theory, and the New World Order. It has nothing to do with whether a particular theory is true or not. That’s not the point. The point is how interesting the theory is, how did one come to that conclusion, and the biggest what if. I am interested in them all however the one that really boggles my mind and leaves me thinking is one called The Operation Paperclip File. The story goes that after World War II ended in 1945, American intelligence teams began a treasure hunt throughout occupied Germany for military and scientific booty. They were looking for anything that America hasn’t tapped into yet. For instance, new things like rockets, air craft designs, medicines, and electronics. However, the true search was ongoing for one real purpose: the engineers and intelligence officers of the Nazi War Machine. 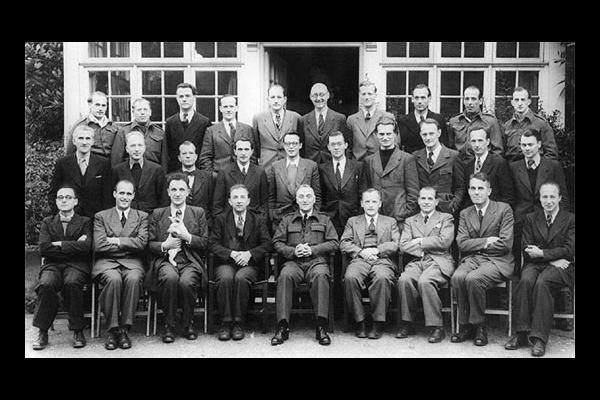 The U.S. military rounded up Nazi scientists and brought them to America. At first, they were only going to debrief them and ship them back to Germany. However, once they uncovered all the vast knowledge the scientists had, the War Department decided to keep them. Like little pets. Awww. Through the scientists, they learned of discoveries of flying discs, and particle/laser beam weaponry in German military bases, the War Department decided that NASA and the CIA must control this technology, and the Nazi engineers that had worked on this technology. Great! Just one problem: this was illegal! 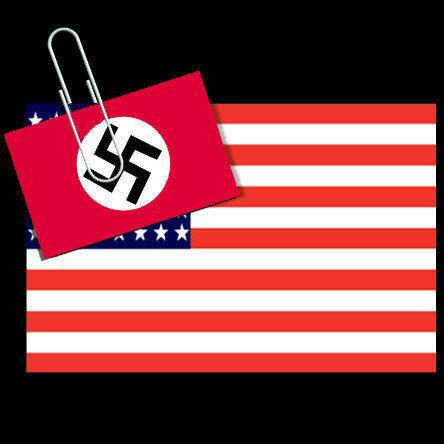 U.S. law spoke plain English that prohibited Nazi officials from immigrating to the States. And yet as many as three-quarters of the scientists in question had been committed Nazis. They did extensive background checks on all the scientists. The evidence was damning. So Dulles had the scientists dossier’s re-written to eliminate incriminating evidence. As promised, Allen Dulles delivered the Nazi Intelligence unit to the CIA, which later opened many umbrella projects stemming from Nazi mad research. President Truman, who had explicitly ordered no committed Nazis to be admitted under Project Paperclip, was evidently never aware that his plan had been violated. State Department archives and the memoirs of officials from that era confirm this. In fact, according to Clarence Lasby’s book Project Paperclip, project officials “covered their designs with such secrecy that it bedeviled their own President; at Potsdam he denied their activities and undoubtedly enhanced Russian suspicion and distrust,” quite possibly fueling the Cold War even further. Over 700 suspicious characters were allowed to become US citizens. Here are just a few. Von Braun worked on guided missiles for the U.S. Army and was later director of NASA’s Marshall Space Flight Center. He became a celebrity in the 1950s and early 1960s, as one of Walt Disney’s experts on the “World of Tomorrow.” In 1970, he became NASA’s associate administrator. That’s a nice thing to picture when you enter a Disney park. A high-ranking Nazi scientist, Blome told U.S. military interrogators in 1945 that he had been ordered 1943 to experiment with plague vaccines on concentration camp prisoners. He was tried at Nuremberg in 1947 on charges of practicing euthanasia (extermination of sick prisoners), and conducting experiments on humans. Although acquitted, his earlier admissions were well-known, and it was generally accepted that he had indeed participated in the gruesome experiments. As crazy as this sounds. this is a conspiracy that surrounds this nation’s history. Yes it is somewhat shocking and unbelievable, its awesome somewhat mystifying. And who knows what is true and what is not. Imagine all the secrets that have yet to be revealed. I pray that day will come. On second thought, I might not be able to handle it. This entry was posted in Blogging, Conspiracy Theory, Opinion, Sarcasm and tagged Craziness, What the .... Bookmark the permalink. I have to say that I love conspiracy theories. There are things that amaze me but I am truly never shocked at the things that our government may be capable of. Nothing is off the table. Our government works hard to establish laws that are suppose to protect our people and our country. Many times its these same laws that hinder growth, stop a war, or help other nations. What determines which laws are worth breaking? The real question is this…… are these laws developed to protect our country and the people’s well being? Or are they just a mask so the public doesn’t see what really goes on behind the closed doors of our government? Dear God I need to go back and read 1984 and prepare ….